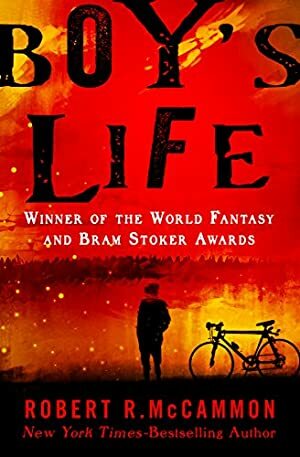 An Alabama boy's innocence is shaken by murder and madness in the 1960s South in this novel by the New York Times-bestselling author of Swan Song. Then one morning, while accompanying his father on his milk route, he sees a car careen off the road and slowly sink into fathomless Saxon's Lake. His father dives into the icy water to rescue the driver, and finds a beaten corpse, naked and handcuffed to the steering wheel -- a copper wire tightened around the stranger's neck. In time, the townsfolk seem to forget all about the unsolved murder. But Cory and his father can't. Track It. This book has been $1.70 within the past year. Log In to track Robert R. McCammon on eReaderIQ. to be notified each time the price drops on any book by Robert R. McCammon. to stop tracking Robert R. McCammon. We started tracking this book on October 12, 2011. The price of this book has changed 240 times in the past 2,750 days. The current price of this book is $7.69 last checked 18 hours ago. This lowest price this book has been offered at in the past year is $1.70. The lowest price to date was $0.99 last reached on September 29, 2012. The highest price to date was $11.99 last reached on June 21, 2018. We last verified the price of this book about 18 hours ago. At that time, the price was $7.69. This price is subject to change. The price displayed on the Amazon.com website at the time of purchase is the price you will pay for this book. Please confirm the price before making any purchases.